Never mind that Kashich did not gather enough signatures to be on the Pennsylvania ballot. Never mind that he only won his home state by 3,000 votes. Never mind that a total sweep of Arizona and Utah will still have you in third place. Never mind that Cruz has 8 states to your 1. Never mind that Trump has 17 states to your 1. Never mind that even Slate can tell that Kasich’s efforts will not benefit the Republican party. Never mind that tearing the nomination from the front-running candidates will likely split the party (in John-Kasich-speak, this means that Kasich will not be nominated because there will not be a party). Never mind, as long as you got a chance to drop confetti in your home state. 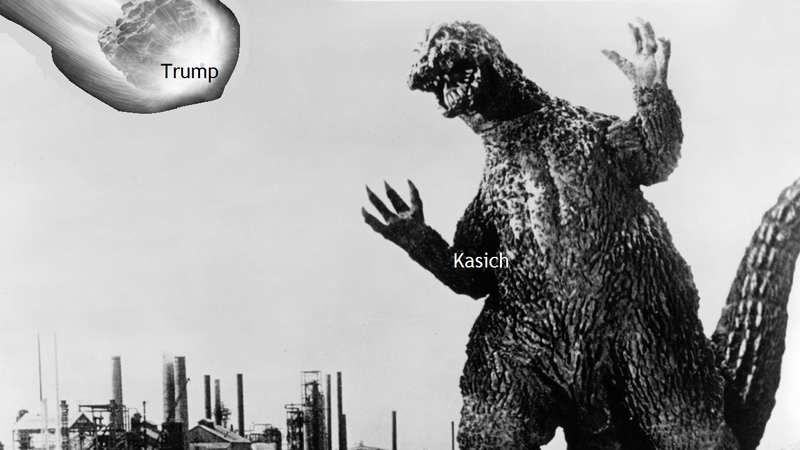 Previous Post Odd how Kasich finds the Lord after he tells Christians to "Move On"